Warm Notice: When shipped, all batteries are with original brand logo. If necessary, we can also customize battery without brand logo for easy customs clearance. 1) Over-charging, over-current and shout-circuit protection, safeguard for using. 2) Gilded and flexible connecter, better conductive properties, not easy to rust. 3) Safety and stable, hi-tech Li-ion battery undergoes drop test, smash test and acupuncture test to ensure no fire and explosion in breaking. 4) Energy environmental protection battery, durable energy conservation, long standby time and long talking time. 5) Caution: Please use a specified charger; do not disassemble the battery; do not short circuit the battery terminals; do not throw the battery into fire or heat; keep the battery in cool dry surroundings when standby. 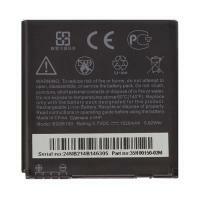 We can Supply all kinds of Battery for Samsung, iPhone, HTC, LG, Motorola, Sony etc.